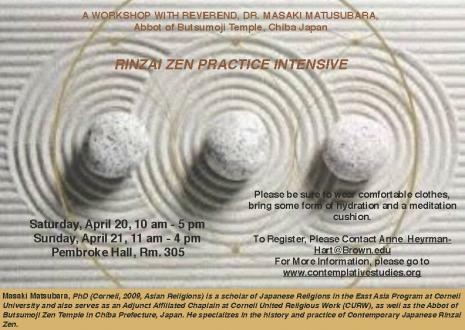 Please join Brown Contemplative Studies for two workshops, Rinzai Zen Practice Intensive, with Reverend, Dr. Masaki Matsubara on Saturday, April 20th from 10 am - 5 pm and Sunday, April 21st from 11 am - 4 pm - both in Pembroke Hall, Rm. 305. You may attend either one or both workshops. This event is free and open to the public, but space is limited. To register, please contact [email protected]. 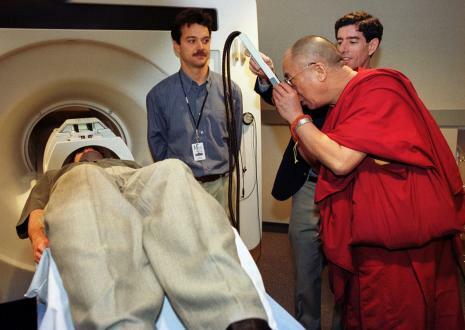 Be sure to wear comfortable clothes, bring some form of hydration and a meditation cushion. 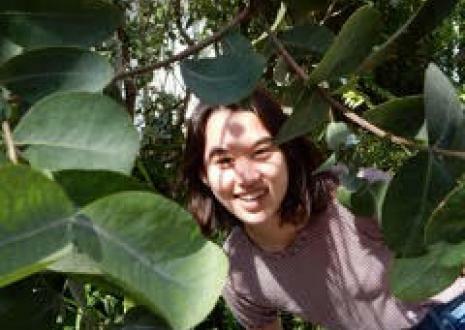 Please join Brown Contemplative Studies for a lecture by Reverend, Dr. Masaki Matsubara on “The Contemporary Training of a Zen Buddhist Monk,” on April 19th from 5:30 - 7 pm in Smith-Buonanno Hall, Rm. 106. This event is free and open to the public. Congratulations to Jodi! Click to read more about this exceptional student! Check out our new lectures and events for the Spring Season! We are excited to be able to offer an array of Contemplative Studies courses for Spring 2019. Click to learn more! The 2018 Contemplative Studies diploma ceremony. Summer Sitar and Tabla Concert!